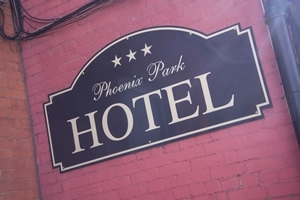 Voici toutes les offres spéciales du Phoenix Park Hôtel, entre le centre ville et l'aéroport de Dublin. Discount for 4 Days. All rooms are ensuite (private) and feature a shower and toilet, multi channel colour TV, and direct line telephone and coffee/tea making facilities. Our rooms are comfortable, clean and tastefully decorated. Non Smoking Rooms. Please note that this is a non-refundable rate and your card will be debited at time of booking. FREE Breakfast when you book direct on our website.